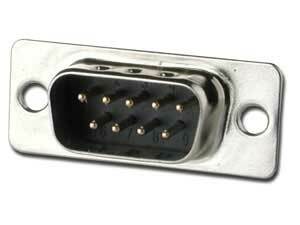 RS232 D-Sub miniature connector. White ABS insulator, Gold plated contacts and tin plated housing. D-Sub Hex Nut 4-40 UNC, 100pcs. D-Sub Hex Head Screw w/ Nut 4-40 UNC, 100pcs.